Nicky has extensive experience of researching the VCSE in a policy context as well as evaluating individual organisations. She is a trained Social Return on Investment practitioner with full approved advisor status and a member of the Social Value UK network. Also she is a qualified and experienced trainer and has been a SFEDI accredited business adviser. Nicky has worked for individual organisations, local authorities, social enterprise and voluntary sector infrastructure groups and government departments. 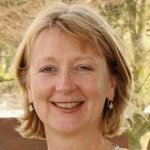 Nicky is a member of the Social Enterprise Mark Certification Panel and a board member of Social Enterprise East of England. She is one of the founder members of Social Enterprise East of England and also the Company Secretary. Nicky has worked in a number of key sectors in which VCSEs operate, including criminal justice, mental health and the arts. Recovery College East (2016) supporting planning for sustainability of the service within CPFT, including measuring impact. Big Local (2010 – current) she is a retained consultant working with three local community partnerships that are in receipt of £1 million to spend over 10 years. Local Trust (2016) Nicky was a member of the consultancy team commissioned to research how Big Local partnerships are measuring the impact of their local development and co-wrote a guide to measuring impact. Youth Federation (for EP) (2016) Nicky developed an impact measurement framework for the organisation to streamline and rationalise its measurement activities.